ATV CHIANG MAI 3 HR – Best Seller!! 8Adventure’s 3-hour ATV Chiang Mai trip is set up for beginners to intermediate drivers. It covers roughly 40 km in distance it is a mix of on road and off road jungle terrain. ATV CHAING MAI 4 HR. – Get more jungle time! 4-hour ATV trip is set up for beginners to intermediate drivers. It covers roughly 50 km in distance it is a mix of road and off road jungle terrain. The added time on this tour is in the jungle. ATV 3hrs + Trekking 3 hrs. 8Adventures operates our ATV Tours in Chiang Mai as ‘4×4 Off Road Safaris’. ATV’s provide awesome and responsible transportation to amazing places and vistas. 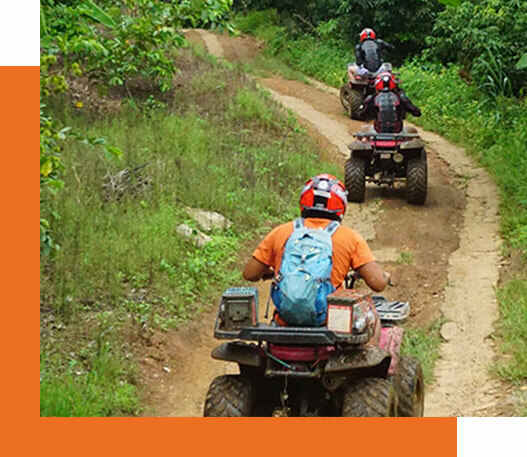 For a fun, safe ATV Chiang Mai tour look no further than 8Adventures. 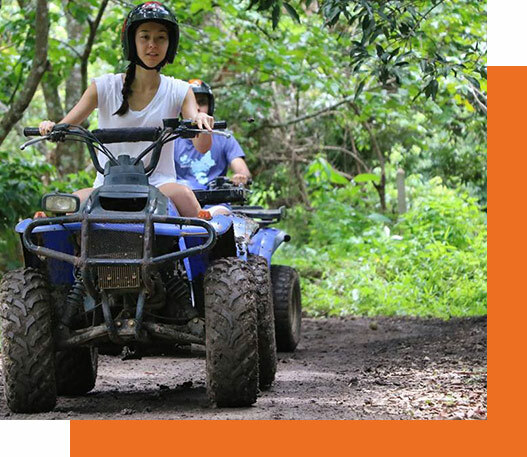 ATV Chiang Mai with 8Adventures is typically designed for complete beginners and we welcome participants with absolutely no experience. We can also cater to those more advanced looking for more adventurous tours! ATV Drivers: Must be aged 15 years or older. ATV Passengers: Must be aged 7 years and older. Depending on the ability of the driver the passenger maybe required to go with a guide. 4 Hour ATV Tour– Most Popular! 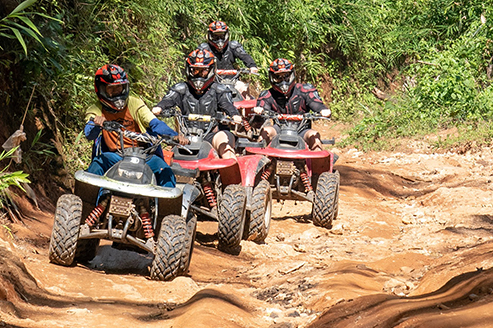 8Adventure’s 4-hour ATV Chiang Mai trip is set up for beginners to intermediate drivers. We start out with detailed instructions and a training course to get you comfortable with your vehicles. It is a mix of on road and off road jungle terrain. It’s well-suited for those that would like to explore the local countryside and see it a different way. An Action packed day for the adventurous at heart, 31 station zip line flight, fly through the jungle back and forth across the river, then take part in a 1 hr ATV tour covering a mix of road and off-road jungle terrain and then enjoy 10 km White water rafting on the best whitewater in Thailand.